Expand Your Practice’s Revenue Streams. INyrtia is a patient-centric data platform for healthcare providers that enables personalized care, seamless coordinated care teams, and improved patient experience by interfacing with our universal Personal Health Record and all the major EMRs within the U.S. 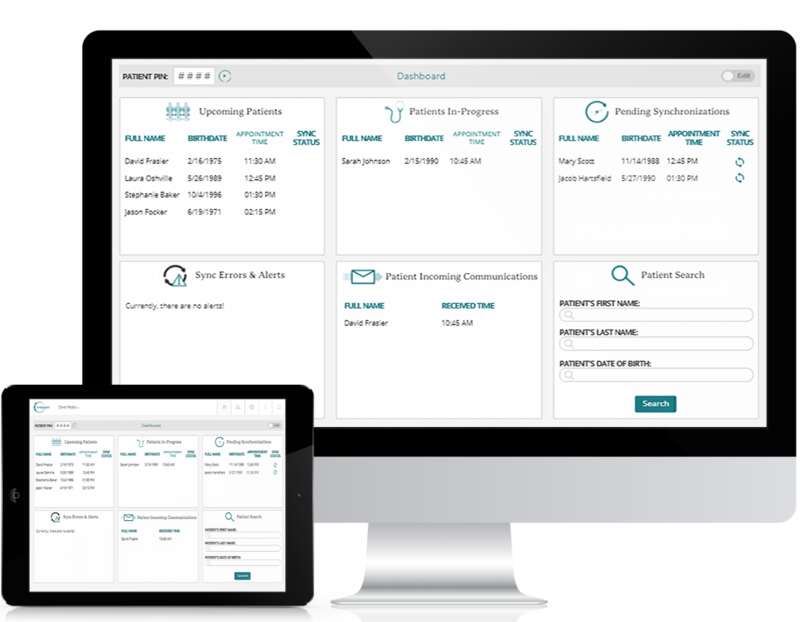 Instant access to complete patient health records regardless of EMR system. Patients complete paperwork and verify insurance in advance using HIPAA compliant e-signatures. Auto-scheduler allows patients to schedule & re-schedule through the INvaryant app and sends you alerts. Direct message patients, do video consults, and bill for multiple provider consults. The platform uses a secure PIN to verify patient identity, insurance, and medical record. See real-time patient symptoms or view a summary of their symptom-checker results. Add your email and we’ll send you information on how to get INyrtia for your practice today! because forms, insurance, records, and scheduling are handled by the user via the INvaryant app before their scheduled appointment. with INyrtia’s interoperability and performance reporting capabilities which help reduce your revenue risk. insurance and request records; and the patient’s full record, insurance, and identity are verified using a secure PIN at check-in. Value-based care is reimbursement that ties payments to the quality of care provided. It rewards providers for both efficiency and effectiveness. Let me be clear, we will not achieve value-based care until we put the patient at the center of our healthcare system. I believe every American should have a single unified health record system that’s in the cloud and is under the full control of the patient. to rural and urban areas in need by participating as a coordinated care provider. for optimal reimbursements from value-based care. into concierge care and telemedicine.